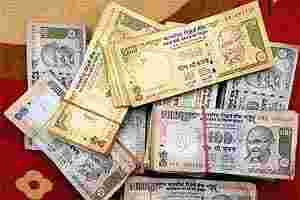 New Delhi: The government is considering additional market borrowings to plug a shortfall in receipts in the current fiscal year. Analysts who have been anticipating such a move estimate that the government is likely to borrow anywhere between ₹ 30,000 crore and ₹ 40,000 crore in the next three months. “There has to be extra (market) borrowing to bridge (the revenue) deficit. If deficit increases, then the government will have to borrow," said a senior finance ministry official, who did not want to be named. He didn’t reveal how much more the government may borrow. It is the first clear signal from the government that its fiscal calculations included in the Union budget for 2011-12 are off target. A shortfall in tax collections on account of slowing economic growth, the near impossible ₹ 40,000 crore disinvestment target and slippages in expenditure on account of a rising subsidy bill are likely to push the government’s fiscal deficit to around 5.5% of gross domestic product (GDP) against the projected level of 4.6% of GDP, economists say. Economic growth in the year to next March is forecast by the government to be 7.5-7.75%, down from earlier projections of 9% and 8.6% in the previous year. On Tuesday, 10-year bonds advanced with the yield on the 8.79% note due November 2021 falling two basis points (bps) to 8.47% as of 4:33pm in Mumbai, according to the central bank’s trading system. Indian corporate bond yields rose on crowding out fears, following the announcement of a $2.8 billion unscheduled federal debt sale. The five-year corporate bond yield jumped 8 bps to 9.49% and 10-year yield rose 6 bps to 9.46%. “Corporates fear they will be elbowed out if the government comes with additional borrowing," a dealer with a mutual fund said. The government had announced an additional market borrowing of ₹ 52,872 crore in the second half of the fiscal in September this year, raising its borrowing target for the financial year to a record ₹ 4.7 trillion, at least 12.5% higher than what was originally envisaged in the budget. In addition to this, the government on Monday announced an additional borrowing of ₹ 15,000 crore to meet its “emerging" cash requirements. Of this, only ₹ 4,000 crore was to make up for the shortfall arising from the cancellation of a bond auction. “Growth slowdown is a big challenge. We may miss the direct tax target...meeting 4.6% fiscal deficit target is out of question," the official cited above said. The government is targeting ₹ 5.85 trillion from direct taxes, comprising corporate and personal income tax. The net direct tax collection was ₹ 2.35 trillion during the first eight months of this fiscal year. “Revenues are coming under pressure. There will be a shortfall in tax revenues—both corporate and personal income tax as well as in indirect tax. The disinvestment target of ₹ 40,000 crore also looks distant, even after the recent proposal to disinvest through SUUTI", said Shubhada Rao, chief economist at Yes Bank Ltd. “On the other hand, the subsidy bill of the government on account of food, fertiliser and oil is going to be higher by at least ₹ 60,000-70,000 crore than what was estimated in the budget", she said. SUUTI is short for Specified Undertaking of the Unit Trust of India. The fiscal deficit should be around 5.5% of GDP for the current fiscal, Rao added. The government had earmarked ₹ 1.34 trillion towards major subsidies in the budget. “The government can finance the deficit through either small savings, government borrowing or through external financing. With small savings in the negative territory in the first eight months of the fiscal on a year-to-date basis, the only other option is raising the market borrowing," Rao said. The additional market borrowing is expected to push up yields, which have risen by around 20 bps since last week. “If the government does go in for additional borrowing, it will push up yields in the government securities market. But the extent of the increase in yields will depend on how the Reserve Bank of India (RBI) balances it with open market operations", said B. Prasanna, managing director and chief executive officer of ICICI Securities Primary Dealership Ltd.
“The market is expecting the government to borrow an additional ₹ 30,000 crore. The government is also likely to go in for short-term borrowings through treasury bills," he said. RBI has so far repurchased around ₹ 32,000 crore of government securities through open market operations in the current fiscal. RBI on Tuesday said it will buy ₹ 12,000 crore of bonds from the secondary market. “The central bank has not announced its OMO (open market operation) plans for the remaining fiscal. As of now, it is only making weekly announcements," Prasanna said. Mint’s Anup Roy in Mumbai, Bloomberg and Reuters contributed to this story.